There are a lot of kids out there trying to bring back the magic of the 60s and 70s, and most of them just don’t capture the sound right — that perfect storm of songwriting, production and drugs. I choose to believe that too many think it’s just about the drugs. Damn kids. Temples, a four-piece from Kettering, England, have got the spark that’s missing from all too many of these “throwback” bands, combining great song structures with that vintage tone. It’s a little too good to be true — there’s a 12-string Danelectro being played and frontman James Baghaw is a dead ringer for Marc Bolan with that shaggy hair and fur-collared coat. On top of that, the production is smooth but doesn’t get carried away. It seems these guys took a cue from Tame Impala — a group whose mix and production I adore — but rolled the time machine back to the late-60s. 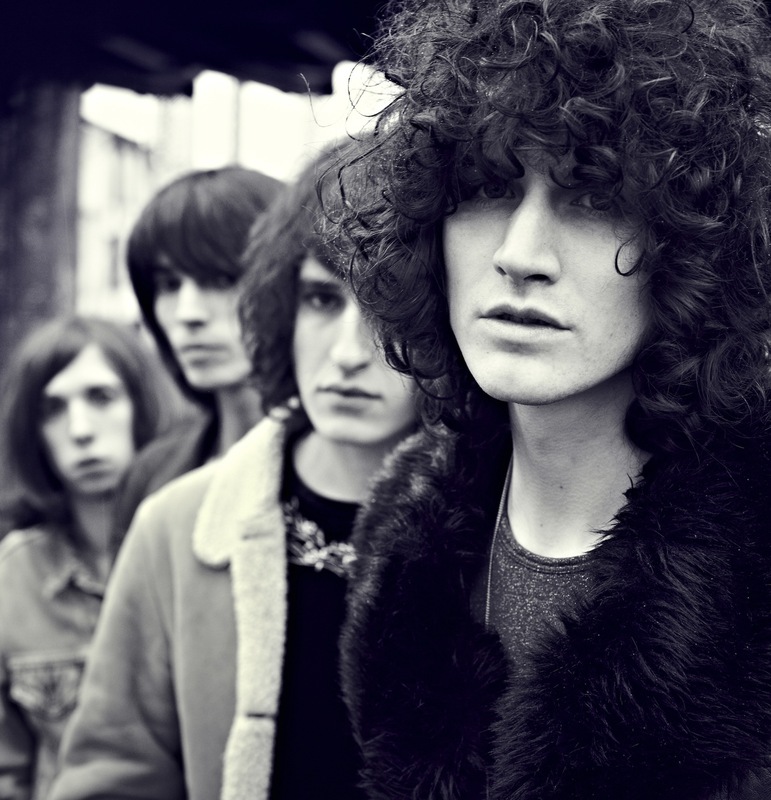 Temples is releasing a 7″ with Heavenly Recordings on June 24, and another 7″ with Fat Possum on July 23. You can check out the video for “Shelter Song” below, and make sure to look at the video for “Colours to Life” here too. This entry was posted in Videos and tagged Fat Possum, Heavenly Recordings, Temples by Brandon. Bookmark the permalink.